2. Trail Blazers is $4.97 per month and SO WORTH IT! Get all the good stuff; ALL the GAMES, ALL the VIDEOS. Tons of INCREDIBLE VIDEOS teaching kids how to do things with horses. 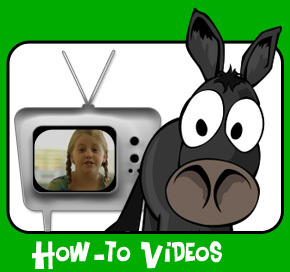 You will learn all the basics watching great videos of REAL HORSES and kids. Videos are the best way to learn horsemanship and we teach you the right way! Kids love games! 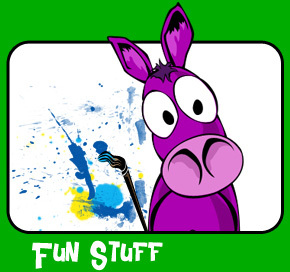 Our games are fun and you can earn points! 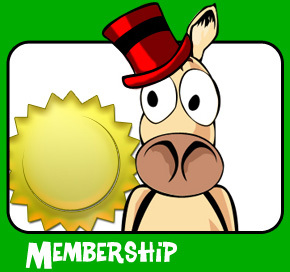 Collect points and use them to get fun stuff from the tack store! Listen to horse stories, watch funny videos of horses. Play, learn, and have fun!